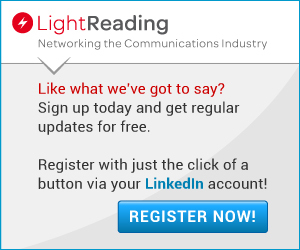 An arcane standards decision last year about the coding schemes used in 5G networks received little attention outside engineering circles. But it was a clear sign that Huawei, the Chinese equipment giant now threatened by hostile US forces, was determined to own the ingredients that make up the next-generation network technology, and assert its presence in a cozy patents club that has until now been dominated by Western firms. The 3GPP, the standards group that presides over cellular technology, had already approved a coding scheme called LDPC (low density parity check), backed by US and Western firms. The Chinese, however, had favored an alternative called Polar Codes. In what seemed like a compromise to satisfy all international parties, the 3GPP ultimately took a "Solomon-like decision," in the words of one source close to the matter, to use LDPC in one part of 5G (the so-called data channel) and Polar Codes in another (the control channel). It was a massive win for Huawei, which had built up a significant patents position in Polar Codes. Yet Huawei's scientists were not the original brains behind the technology. That honor went to a Turkish professor called Erdal Arikan, who previously sold Polar Codes to the Chinese vendor. Huawei makes no attempt to hide this fact. 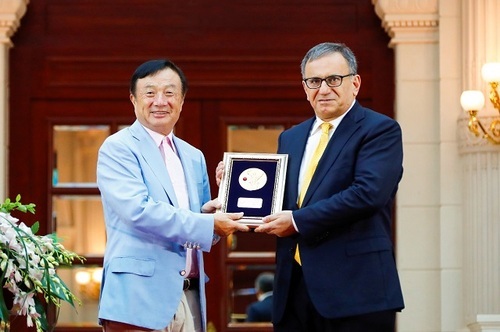 In a press release published on its website last July, it hails Arikan as the "father of Polar Codes" and pictures him receiving an award from its founder, Ren Zhengfei (see below). Nor is there any suggestion Huawei has ripped off an inventor. Arikan would hardly be photographed next to a smiling Ren if he had not been well compensated for his intellectual property (IP) -- although the image and accompanying press release could be valuable to Huawei if Arikan ever decides he is owed more than he received. Ren Zhengfei, Huawei's founder (left), stands next to Professor Erdal Arikan, the man behind Polar Codes. What the transaction shows is just how important ownership of cellular patents has become to Huawei in the 5G era. Arikan is understood to have courted other patent firms when he was trying to sell Polar Codes. But it was Huawei that eventually came through. And since buying the technology, Huawei has been effusive about its 5G value. "Polar codes are the world's first channel coding scheme to bring us up against the threshold of Shannon's limit [which dictates maximum data rates]," says the company. The statement fits into a much broader business and public-relations campaign. Huawei's patents mission is not just about owning a bigger chunk of the technology; it is about holding the most vital ingredients -- or at least convincing the world that its patents are superior to anyone else's. Success could translate into billions of extra dollars in revenues. Years ago, before the iPhone revolution and the rise of Huawei, the patents club responsible for cellular technology comprised a much broader variety of players than it does today. Companies such as BlackBerry, Motorola, Sharp and Sony all had significant development teams that would make contributions to cellular standards. Most of these companies also had one thing in common: a large devices business. This meant that when money changed hands in licensing fees those companies were receiving and paying out at the same time. They were not just the licensors that owned some of the technology but also the licensees that paid to use other parts of it. Often, the difference between what a company spent as a licensee and collected as a licensor was relatively small. Consumer gadgetry has always been the source of revenues for the owners of cellular patents. In theory, a licensor could seek payments for the IP used in network equipment, too. But this rarely happens. Because royalties represent a percentage of sales, the returns on the network side would also be relatively small. Today's handset industry generates about $400 billion annually in revenues, while the mobile infrastructure market is worth between $25 billion and $30 billion, according to one estimate. China's equipment vendors were barely visible in the international patents club when 3G was gaining ground. Instead, Chinese authorities were determined to build and popularize a homegrown 3G technology called TD-SCDMA. By quickly seeding this in markets where China had influence, they hoped to make TD-SCDMA a major global standard. The strategy carried over to the 4G era with a Chinese technology called TD-LTE, which uses a communications system called time division duplex (TDD), rather than the frequency division duplex (FDD) favored elsewhere. Chinese expertise in TDD technology stems from this push. But attempts to make Chinese technologies the de facto global standards ultimately failed. And that forced China to come up with a new strategy for advancing its technological ambitions -- one based not on technology development in isolation but on trying to become the international standard's most influential player.